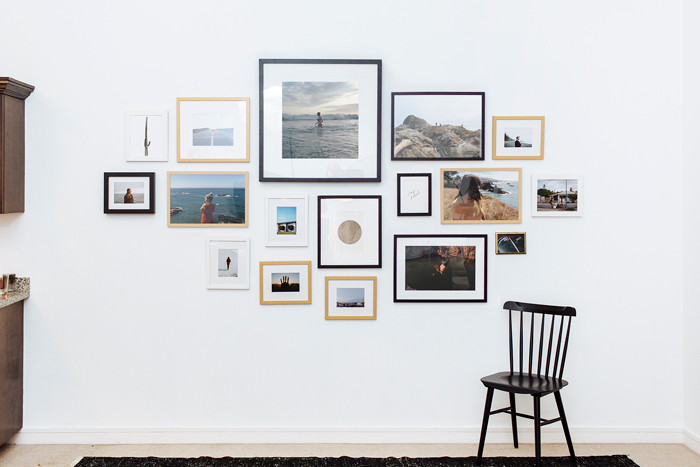 If you have a ton of family photos, the wall space for all your pictures, you should try putting up a gallery wall in your home! Gallery walls are incredibly gorgeous, but have so much potential to look off or go wrong with all the items and photos you’re trying to get up on the wall. I had a wall in my house that was just begging for a gallery wall, but had always been too intimidated to actually try it out. I finally got the courage to do it and learned some really valuable lessons along the way. There’s no need for you to go through the trial and error that I did; just follow this step-by-step tutorial for how to hang a gallery wall in your home the right way. 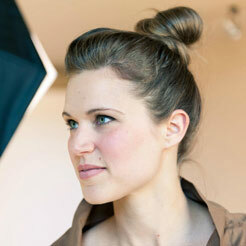 Not only will it look great, this tutorial is super-easy, too. 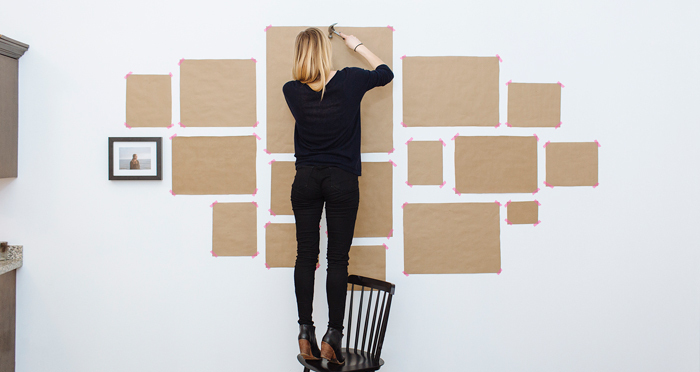 First up is to determine your personal gallery wall style. Check out Homepolish’s roundup for design notes on all the inspiration you need. Do you like randomness or a grid? Matching artwork or varied? Matching or mismatched frames? Objets d’art? The sky’s the limit. Step 2: Lay it out. 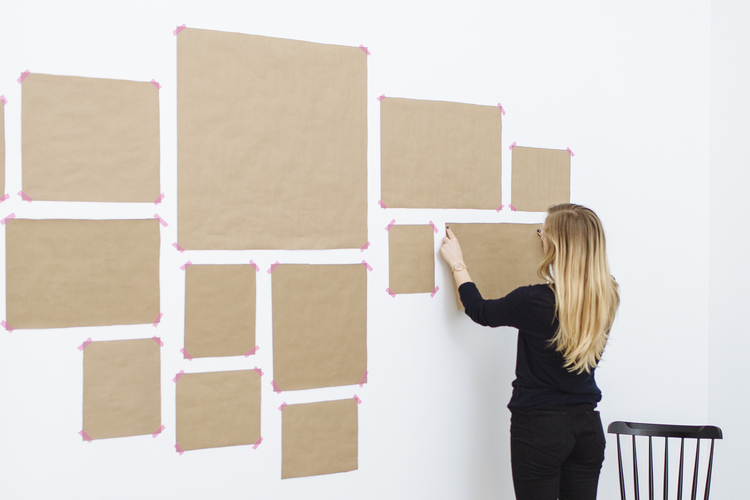 Lay out the pieces of your gallery wall on the floor. Start with a large centrepiece and build out. Use inspiration images from Step 1 to help. If you’re having a hard time deciding on a composition, try this: When you have something you like, snap a picture on your phone. Then make another arrangement. Do this a few times, and then flip through the snapshots. This “editorial view” can help you decide which you like best. Step 3: Mock it up. Next, to be sure that your composition looks good on the wall and that the height of it feels right, mock it up on the wall with paper. 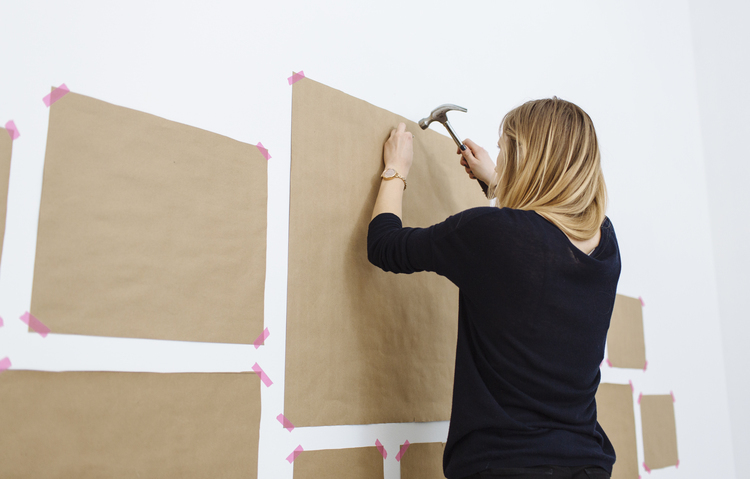 Trace each frame onto a piece of kraft or tissue paper, trim to size, and tape to the wall in your desired order. Ask yourself, is it grouped around nearby furniture appropriately? Is it a comfortable height? Does it fill the space appropriately? For our example, we wanted the composition to extend a few inches lower than the dining chairs that will sit at the dining table in front of it, and our measurements checked out perfectly. Note that this step is optional, but it helps alleviate error (ie, unwanted nail holes!). 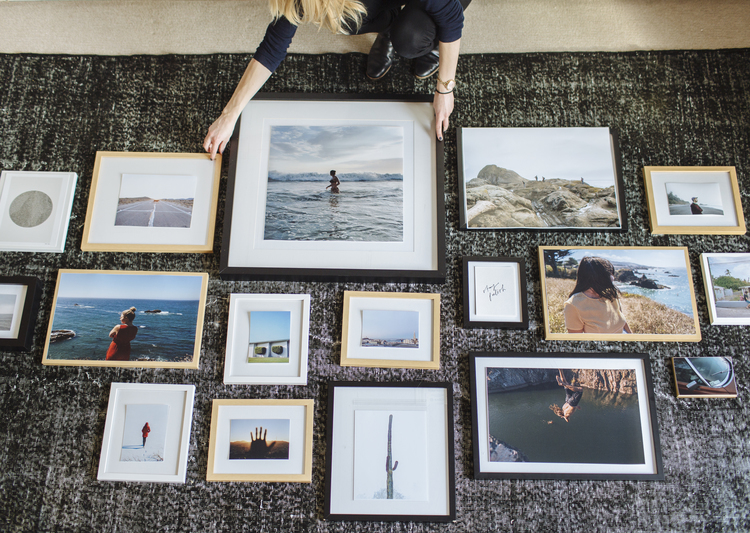 If you haven’t already, now’s the time to frame all your art. In the example shown, we had enough frames and art pieces that we could be flexible with the composition and switch them out as needed, so inserting art in frames was our last step before hanging. Step 5: Hammer and hang. One perk of using paper mock-ups is making nail placement easy. You can mark each paper with the spot where the frame’s nail should be placed, and when the paper is on the wall, hammer it directly into the mark on the paper, tearing it away after. 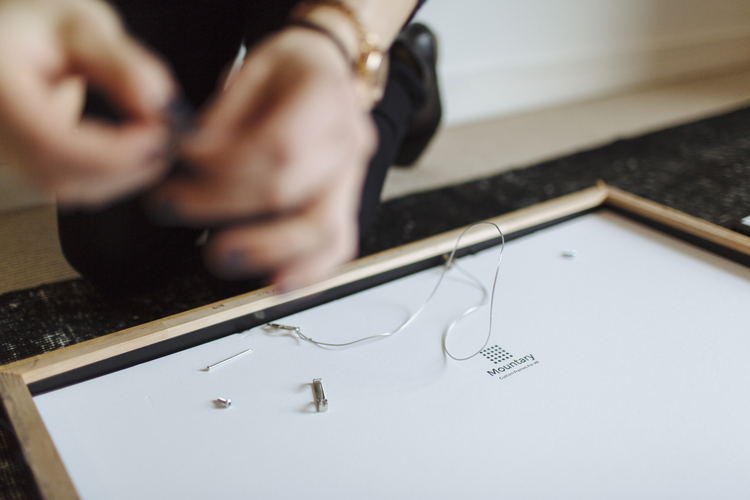 Then comes our favourite part—hanging those glorious frames on that glorious wall. Finally! 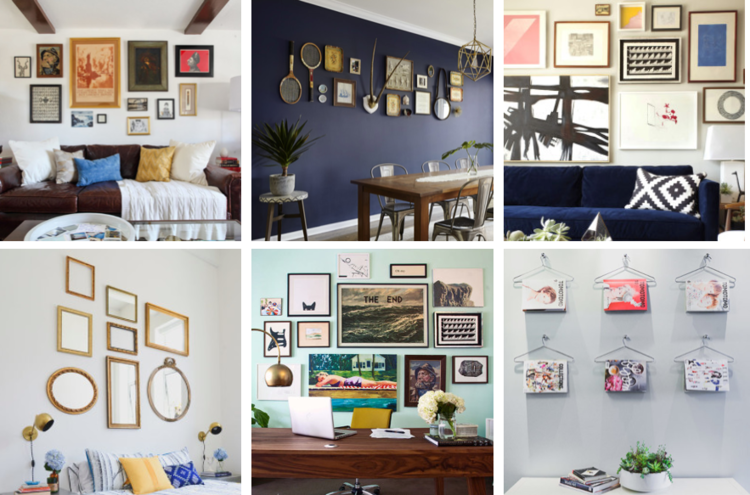 A gallery wall that looks completely balanced.